One way that you can practice your writing is by penning reviews for restaurants or other businesses that you visit. Some will actually pay you for being a mystery shopper, like A Closer Look, while others, like TripAdvisor simply want you to volunteer information for the good of other citizens looking for a good time or bargain. Recently I took a trip to New York City for dinner out with relatives and a Broadway show (Newsies). Of course, we took taxis and walked a lot so each spot we stopped was an opportunity for writing. On the one hand, there was no money to be made, but I am still spreading my name on the web while I learn how to describe and express my experiences. not voice my opinion but rather to state the facts as I saw them, and only if I think the review might benefit another traveler like myself in the decision making process. Today I am going to try something a little different by writing about something I do at home. 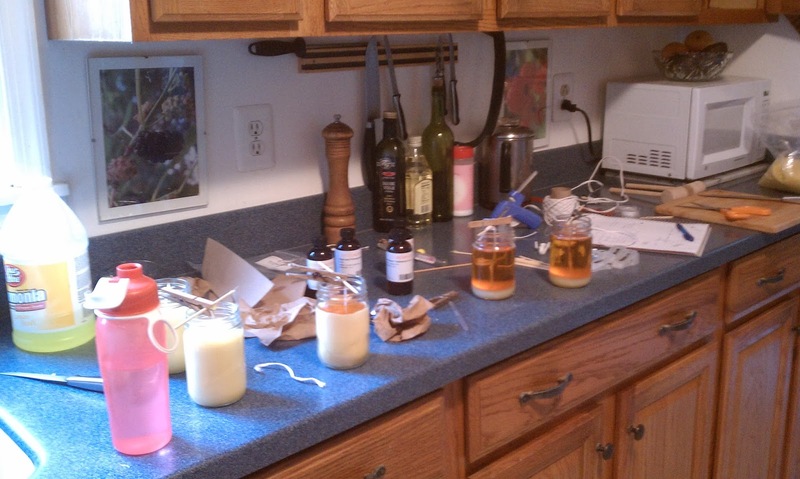 My project over the last week or so has been to try my hand at making beeswax candles. So many times people ask me for instructions on how to do things, so since it falls within the category of writing, I will explain it here. First of all, why beeswax instead of paraffin or soy wax? Well, once I found out that beeswax was considered the premium substance for burning in a candle, I thought, why not? There are lots of claims about problems with the smoke from paraffin and soy but I have not made the time to research them out to see if they were true. Second, get your supplies. I searched online and found a candle supply company I liked, Candle Science. They seemed to have the best price for the wax in a granular form and plenty of information for learning. Check out their list of fragrances for inspiration, too. While you are waiting for the order to be shipped, come up with the logo for your candles (if you want to). Clean a work area in your kitchen and set up your supplies. 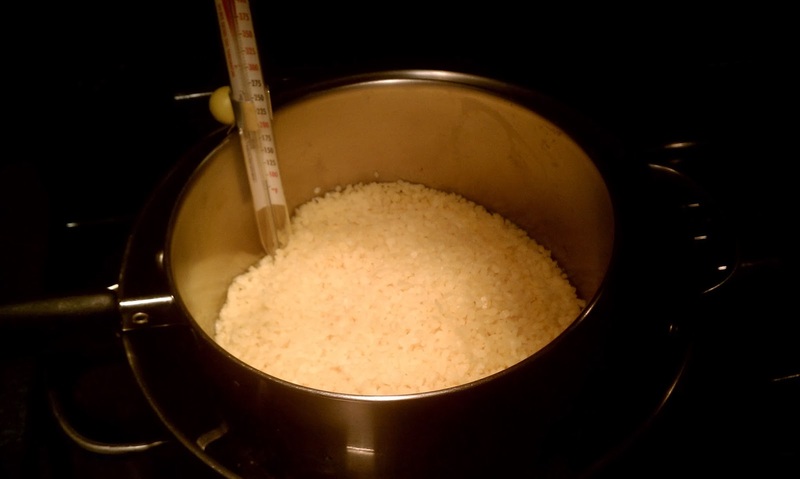 You will need to have a large pot about a third full of water heated to a simmer. 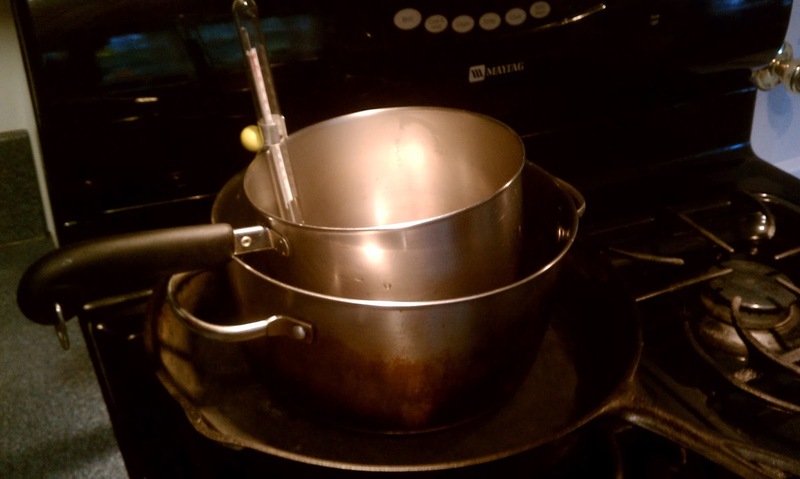 Place a smaller pot on top for melting the wax (creating a double boiler). Use a candy thermometer to watch the temperature of the melting wax as you don't want it to go over 160 degrees (F) or it tends to darken the color of the candle. Cut your wicks to the right length for your container. Use a hot glue gun to glue the wick to the bottom center. Wrap the wick around a pencil or through a clothespin to hold it in place. Warm the jars in the oven at 140 degrees. When the wax is melted, add your fragrance (if any) and stir gently. 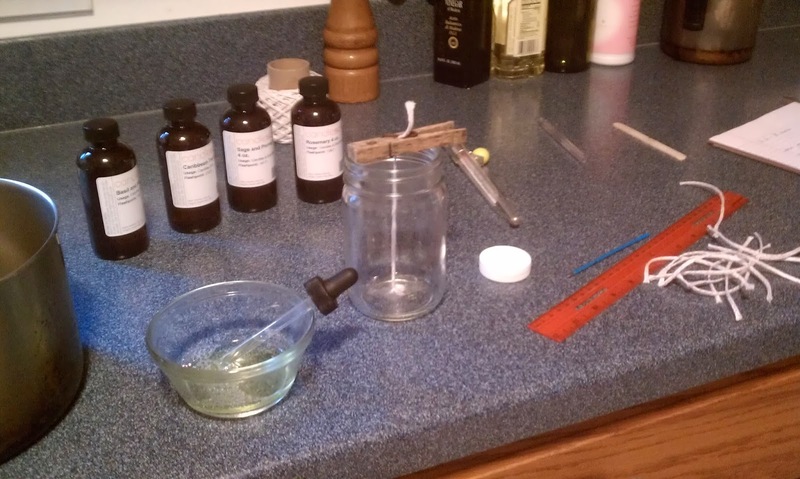 Pour the wax into the containers, trying to stay as neat as possible since the wax is sticky and hard to clean later. Don't fill it all the way as you will do a second layer after the first is cooled. Leave a 1/4 to 1/2 inch space for the second layer. Pour the second layer over the candles after waiting about 5 or 6 hours for the wax to harden. If any cracks have formed, this is when you can fill them in. Leave the candles overnight so they can fully harden. That's it! 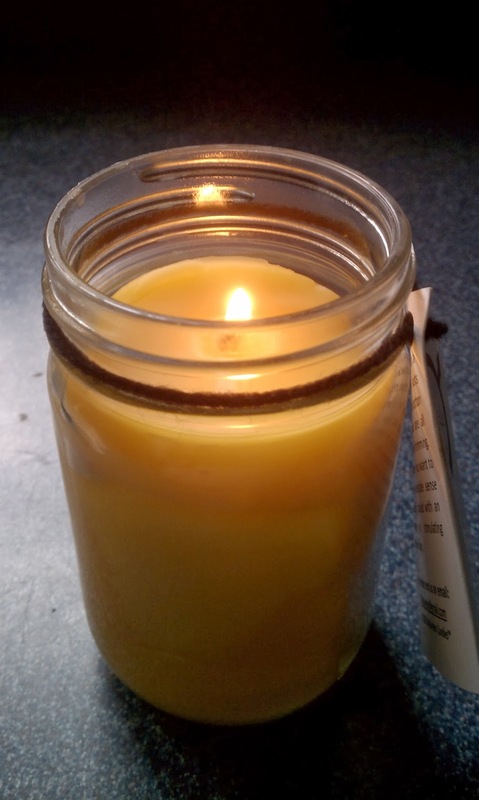 You now have a nice beeswax candle that will burn longer than most other types of candles. 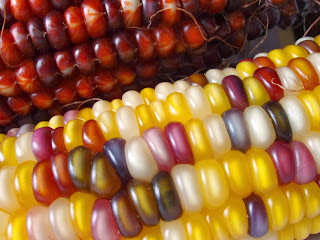 Although I live in a very lush area for growing vegetables, fruit trees and flowers during the spring and summer, there is something unique about fall and the rich colors everywhere. Tonight we change our clocks back for Daylight Savings time so tomorrow will really feel like we are heading into winter. 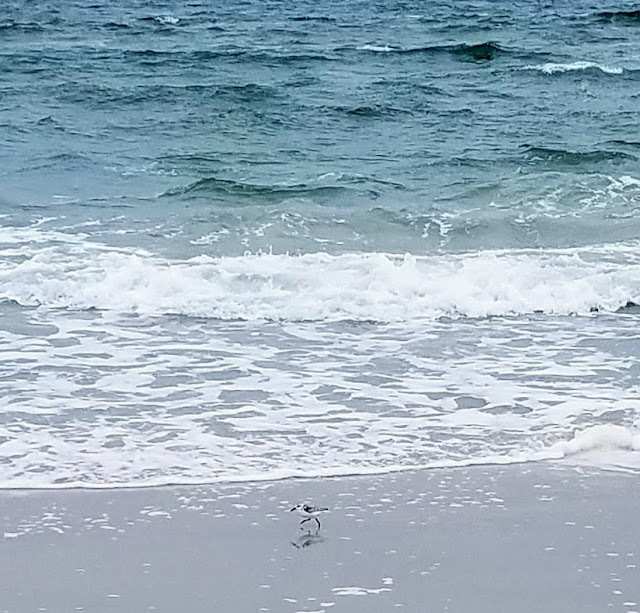 As far as today goes, it was still warm enough to get out in our kayaks and go fishing and hang out on a secluded beach accessible only by boat. The clouds have since rolled in and the temperatures are supposed to drop down into the low 30's by tomorrow night. So tonight we will celebrate life with friends and sit around around our fire pit roasting some kielbasa over the flames.